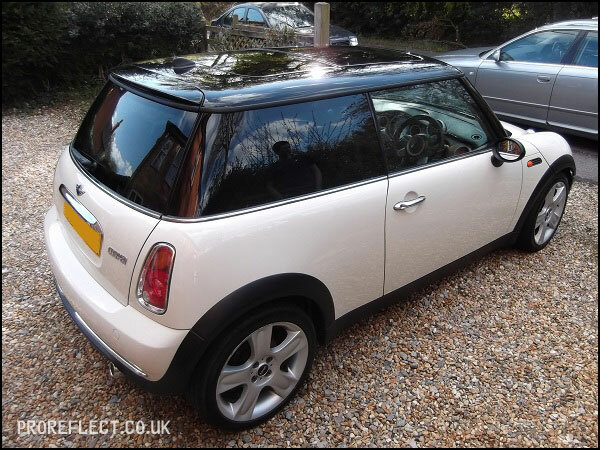 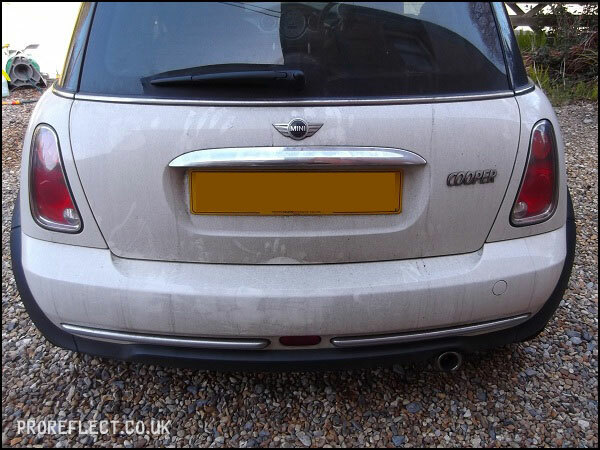 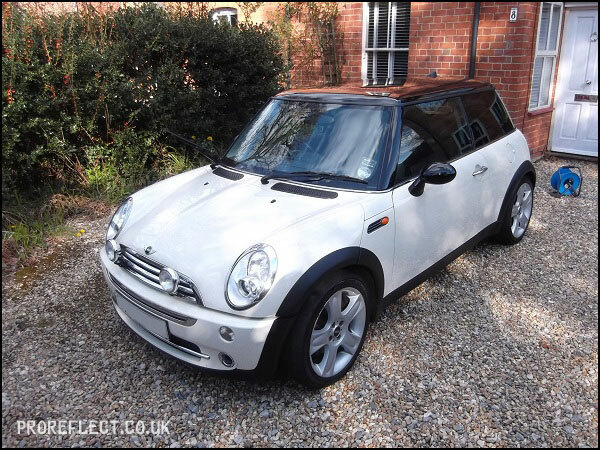 A pre-sale detail for this BMW Mini Cooper. 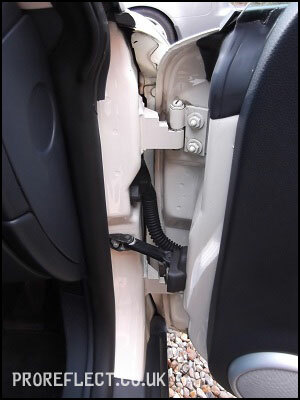 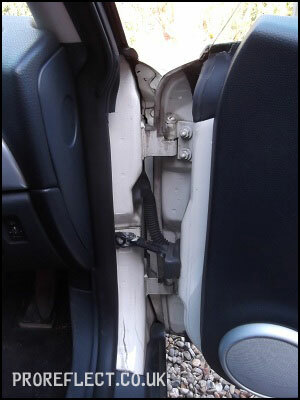 Door shuts before and after. 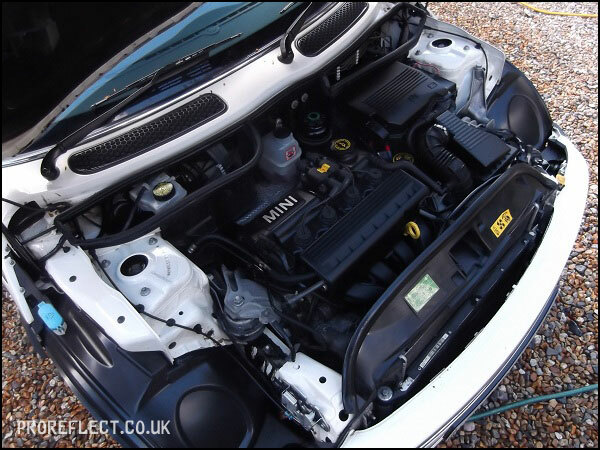 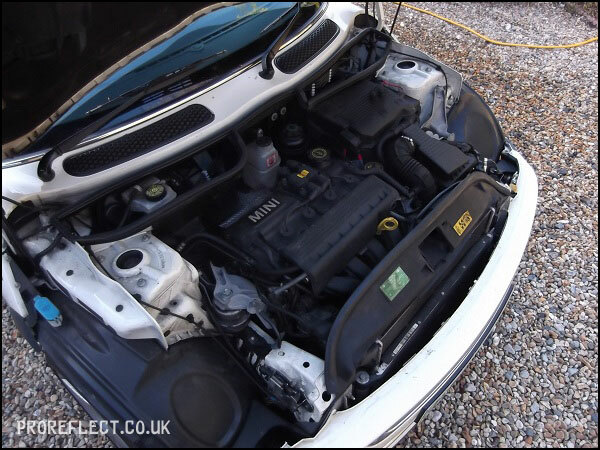 First up, the engine bay gets degreased with Meguiar’s Super Degreaser. 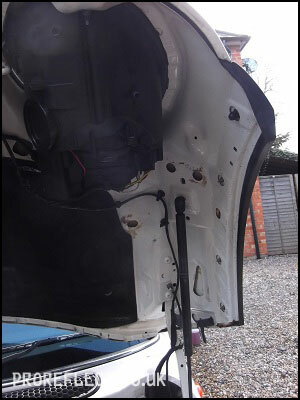 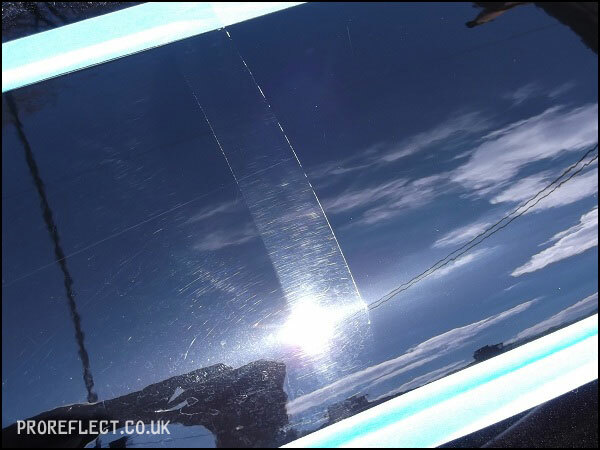 Bonnet underside before and after. 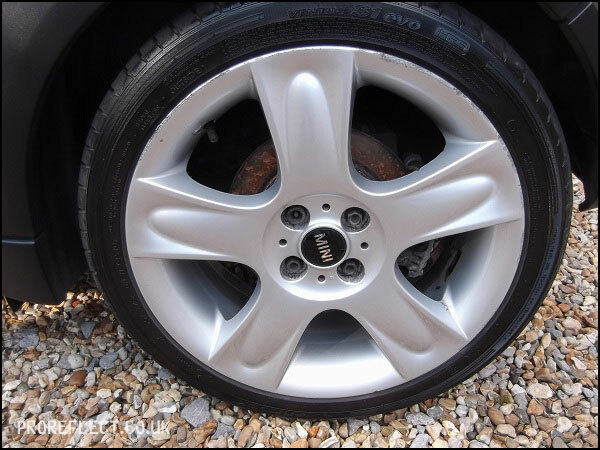 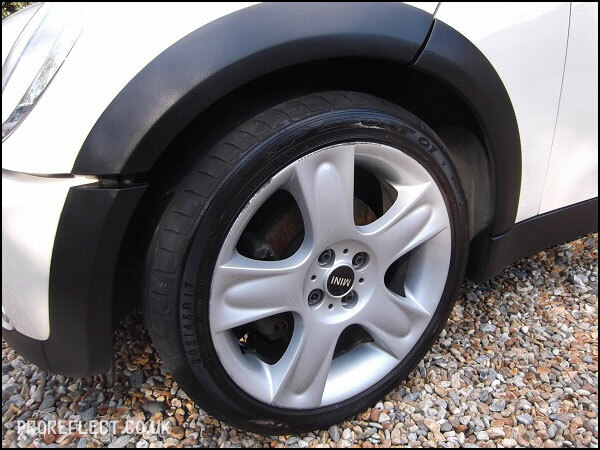 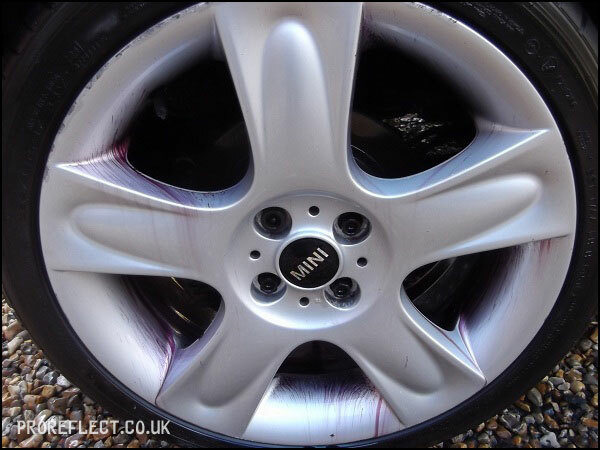 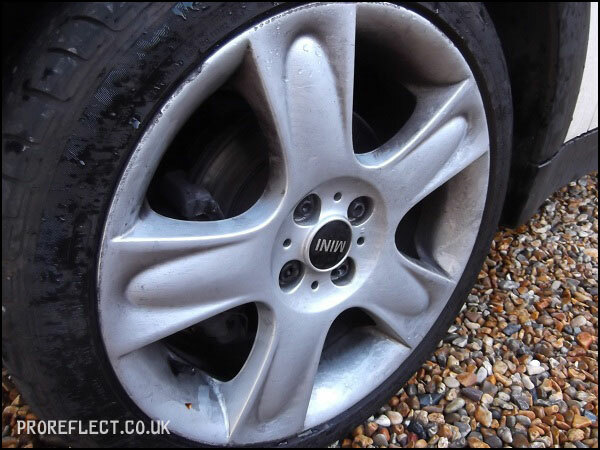 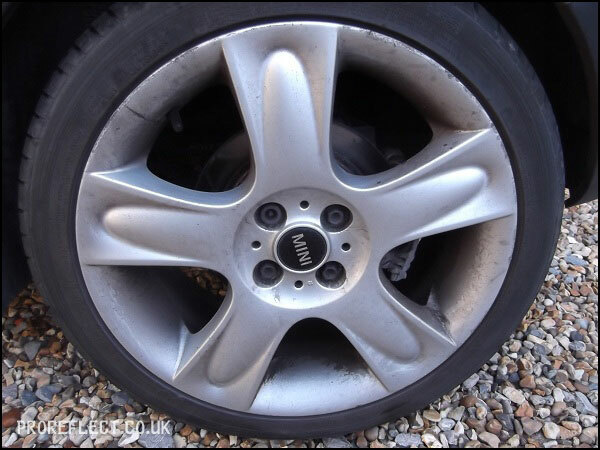 Wheels given the usual clean with various brushes and then Iron-X used to remove metallic fallout. 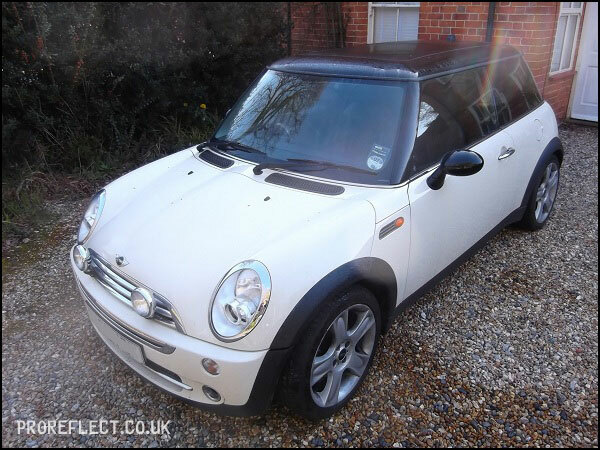 For me, the black roof is one of the first things you see and on a sunny day the unsightly cobwebs didn’t look good. 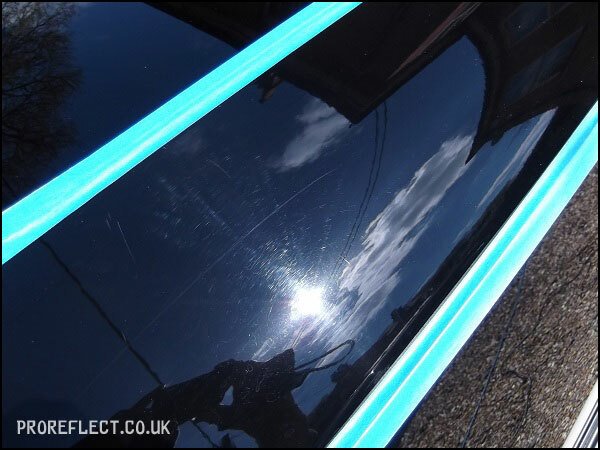 Single stage machine polish sorted that – 50/50 shown. 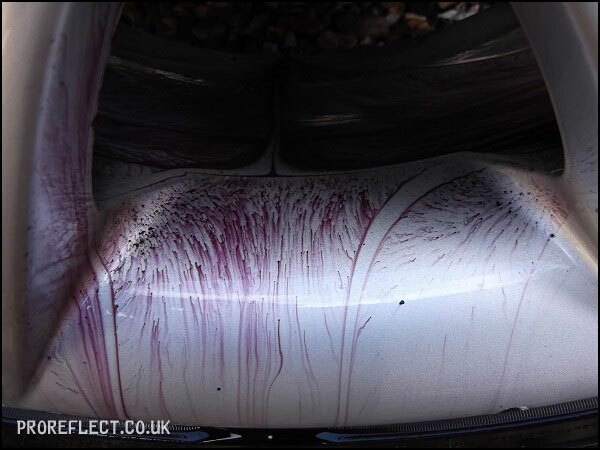 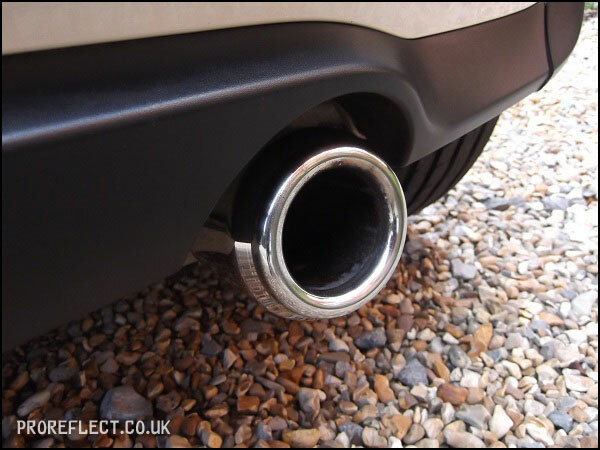 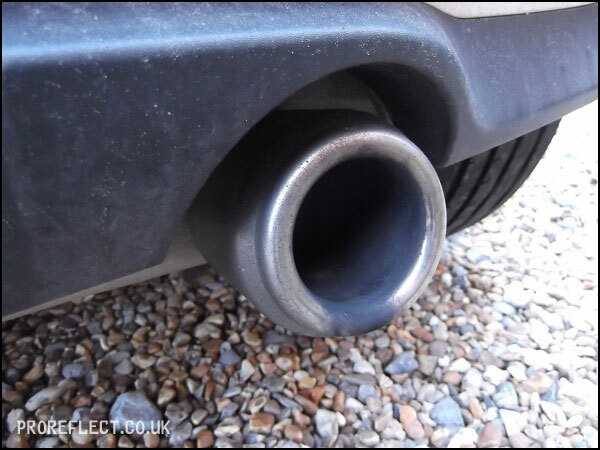 Autosol and 4/0 wire wool takes care of the exhaust tip. 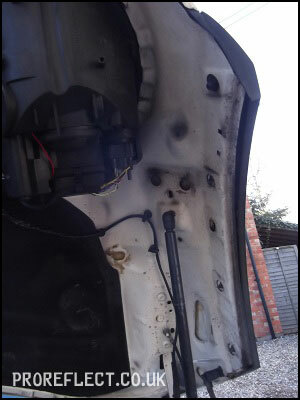 A layer of Collinite 845 Insulator Wax was applied. 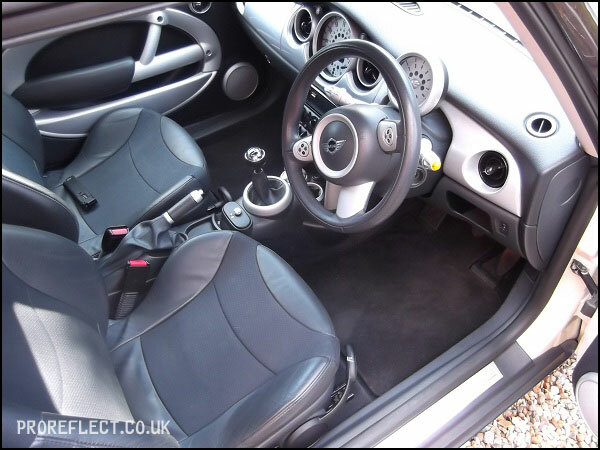 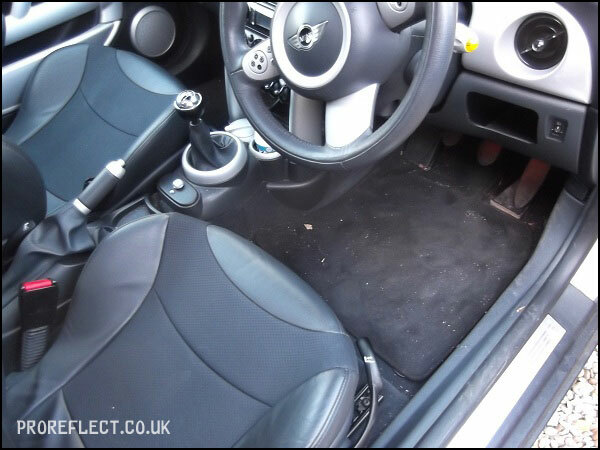 Interior was given a thorough hoover. 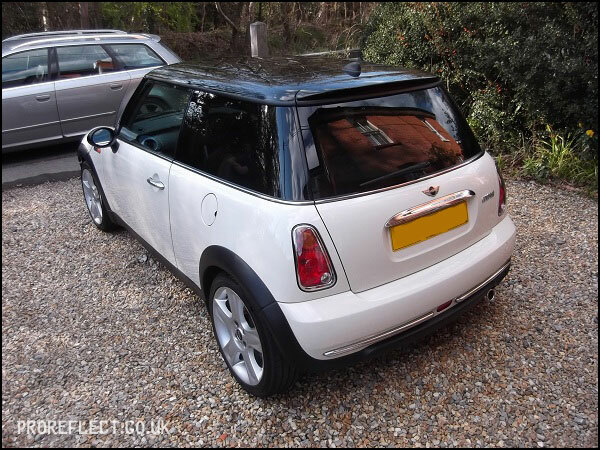 All plastics and glass cleaned throughout.